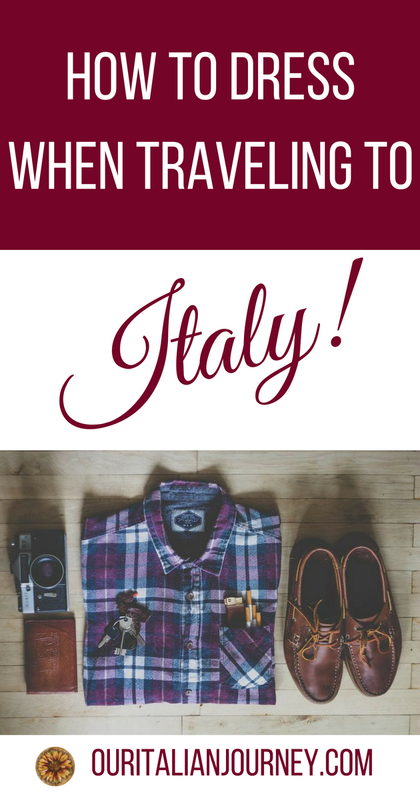 Traveling to Italy and wondering how to dress and what to pack? Of course, it will depend on the time of year you are visiting but there are some basic practical suggestions we can make to help you along. 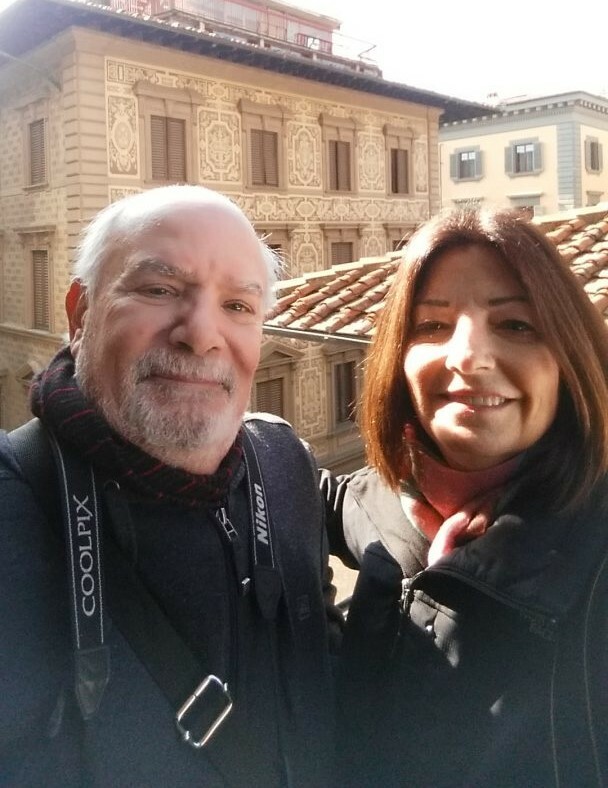 We have traveled to Italy many times and these are suggestions that I wish I would have known when we first visited back in 2010. Disclaimer: By no means am I a fashion expert! This post contains affiliate links that help keep this website running. By purchasing through our links, we make a small commission at no extra charge to you. Thank you very much for your support! Italy is known to be a fashion mecca; especially in Milan which is located in northern Italy. When visiting this city, I did feel that people dressed in well-fitted clothes and lots of jewelry and high heels. Tourists that are not headed for work will of course dress differently. You can, however, look nice and fit in well with the locals by following a few suggestions. 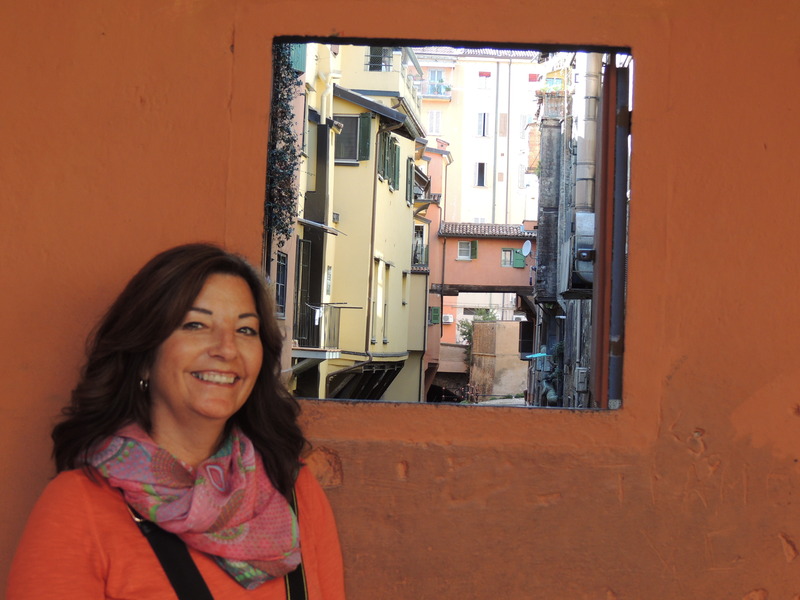 If you are visiting Italy during the summer, more than likely you will be wearing a few sleeveless tops and blouses. This is absolutely fine unless you want to enter a church. And let’s face it when visiting Italy if you love art, this is where a good portion of the art is located. Now, this isn’t a hard rule but many churches will not allow you to enter with bare shoulders and sometimes even shorts. One of the best accessories you can carry with you is a scarf. A large scarf can be used around your shoulders if entering a church or to use in a chilly restaurant or museum. It is one of my favorite things to wear in Italy. Treat yourself to a light-weight and mid-weight one purchased in one of the street markets as they are quite affordable. You will be glad you did! Even Gary wears a scarf! Health is of great concern in Italy and they say no one wants to get “hit by air”. Because of this, Italians wear scarves to keep their necks warm pretty much throughout the year. This, by the way, applies to both men and women. If you are looking for souvenirs, may I suggest you pick up a few as gifts? Everyone back home will love it and they are very lightweight and easy to pack. When visiting Italy plan to do a great deal of walking. One of the most practical solutions I can give you is to make sure you have comfortable shoes. Do not go out and buy a new pair that you plan to take with you. Purchase a new pair if you must but by all means, wear them for a month or two before your trip to break them in! This would be a great time to invest in a well-made shoe such as Ecco brand. They are my “go-to” for walking and they have sneakers, shoes, and even a great selection of sandals. In the summer, women wear nice sandals, and sneakers while men will usually wear boat shoes and sneakers. At all cost, avoid flip flops for two reasons. Italians wear this type of shoe only at the beach and the second reason is that they have no support and you will make the mistake of turning an ankle on the cobblestone streets. In the fall and winter, both men and women wear boots. Not high heel boots for women when walking through the streets either! I picked up a beautiful pair of booties with a low heel in Florence. They were very reasonable and I didn’t have to break them in…..ohhh that Italian leather! It was like they were made for me! Fiverr™ Freelance Talents – Your Freelancer Is Here. Gain Access To Digital Services From Fiverr Freelancers. Place Your Order Now! 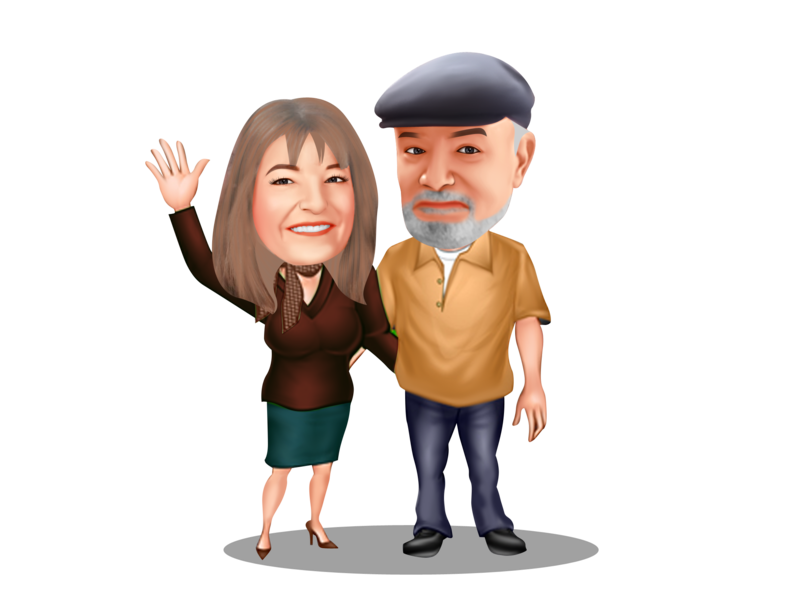 This is our latest creation from a talented person we hired on Fiverr! It cost us less than $20.00 for two versions and a background on one! Try it yourself and use the link above! Jackets: You should always bring a jacket when out for the day. The weather can change from morning to afternoon by quite a few degrees. A blazer is very fashionable in Italy and worn by both men and women. Men tend to wear blazers in shades of blue. You never know when you’ll wind up in a restaurant and need another layer. We also found that many of the churches and museums can get quite chilly. Winters in the south can be chilly so a puffer or down jacket or a vest is advisable. Always carry a travel umbrella year-round. Be prepared. Tops/Blouses: Locals are not big on overly-revealing clothing so just keep that in mind. Logo t-shirts are okay to wear inside your hotel room or at the beach but they are a no-no when walking through town. The only people you will see wearing these are the tourists. Pants/Shorts: Italians still consider shorts as “resort wear” but they are worn in the streets of Italy. Cotton pants or capri pants for women are a great choice. Jeans are always accepted these days but a nice quality pair and a nice top can be very acceptable for men and women. Colored pants (chinos and jeans) are very fashionable for both sexes. Men wear a lot of red pants in Italy! Leggins (which I know are similar) but solid in color are seen everywhere. I found the most comfortable travel pants I have ever owned. I use them for work as they actually look like dress pants so they are great for the airplane and going out to dinner! To date, I own four pairs and love them. Before purchasing, I checked all the comments and everyone said that they wash great and no pilling even after years of wear. That’s my kind of value with comfort. Use the link below to check them out and enjoy 20% off! We hope that these three suggestions will help you when thinking about what to bring on your next trip to Italy. If you have any other thoughts or suggestions, please let us know!